Monaghan moved on to four points in Division 3 of the Football League as they easily accounted for a poor Sligo team at Clones. An Owen Duffy point was the only score in a dire opening 20 minutes as Monaghan missed a host of chances. However, Monaghan then found their shooting boots to move into a 0-6 to 0-2 lead by half-time. Duffy and Tommmy Freeman combined to set up Christopher McGuinness's goal as Monaghan strolled to victory. Adrian Marren scored all but one of Sligo's points as Kevin Walsh's side struggled badly throughout. 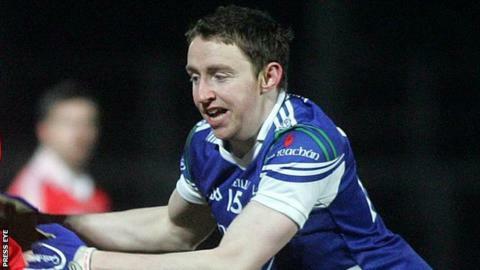 Kieran Hughes, full-forward Paul Finlay and Colin Walshe were also on target for Malachy O'Rourke's Monaghan side.